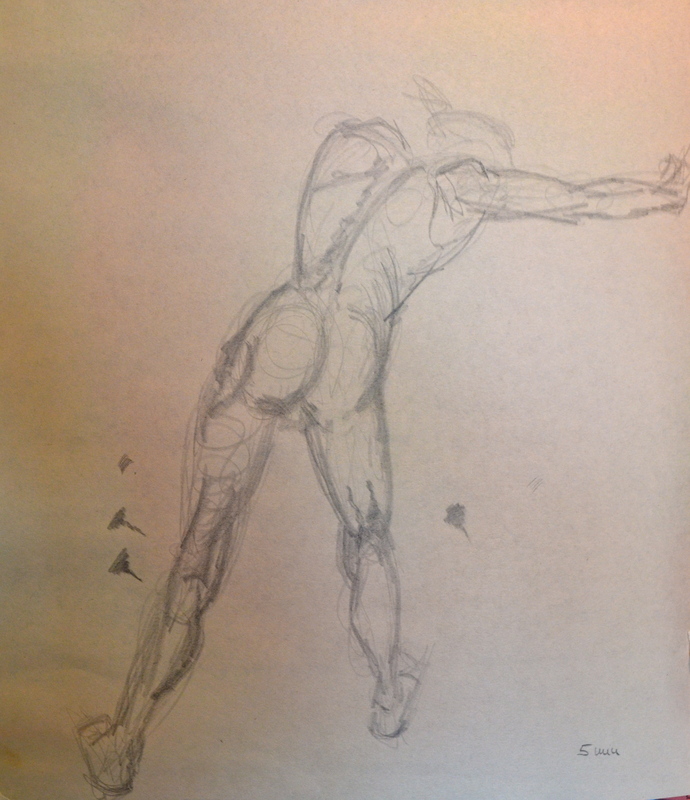 Gesture drawings are usually done very quickly. The exercises we did in class ranged from just 10 seconds to 5 minutes. It’s not about getting technically everything right, one does not necessarily aim for exact proportions and so on, it’s even in your way to think along that line. 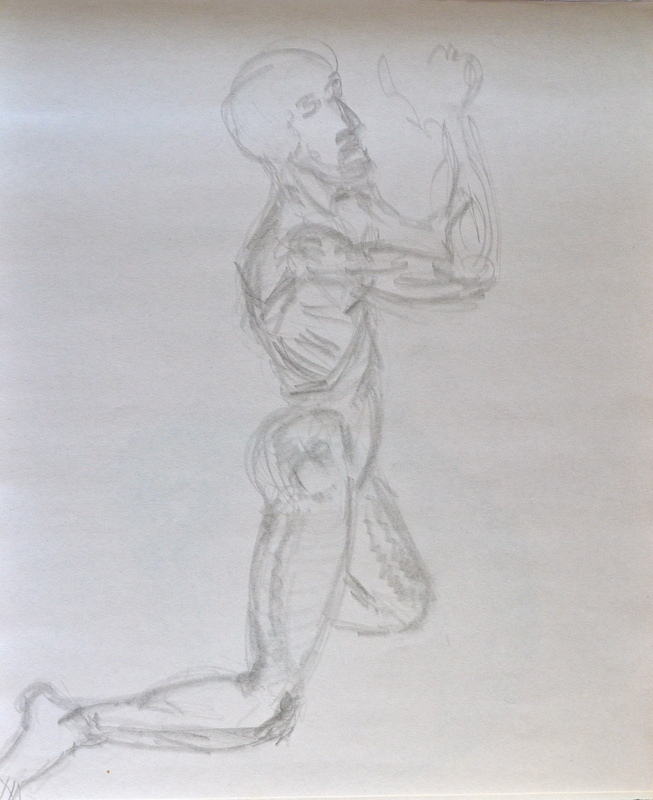 Gesture drawing is an exercise where it’s helpful to loosen up. It’s more about feeling “things” out, understanding what the subject or object is all about. The speed forces you to let go of thinking too much, decisions have to be made in a split second. However the more skilled you are at drawing – and of course, the more you practice gesture drawing itself – the better your gesture drawings will become. All the hard work will eventually show in those ten seconds. A gesture drawing can be done of pretty much anything, be it a person, a chair, a tree or a coffee cup. It’s all about capturing the essence of the subject/object, the expression frozen in the moment; you might even say it’s an attempt to capture an emotion. 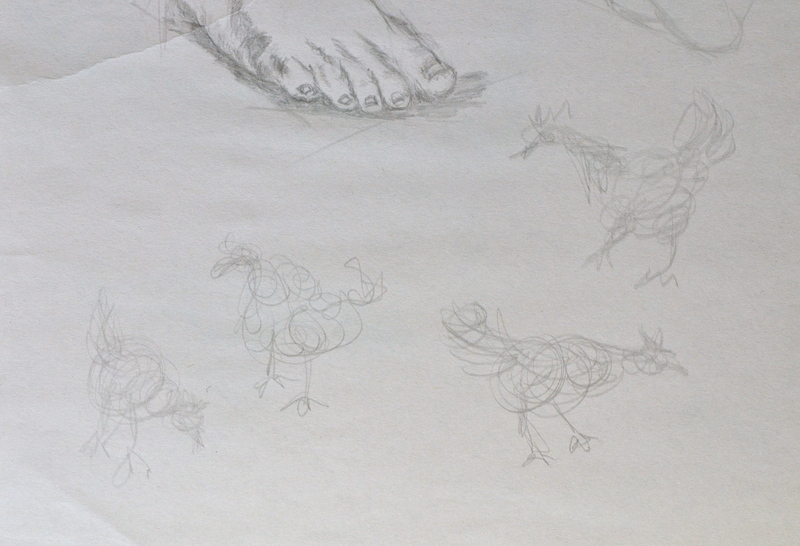 Here are a few gesture drawings of people (from class) and chickens (homework). 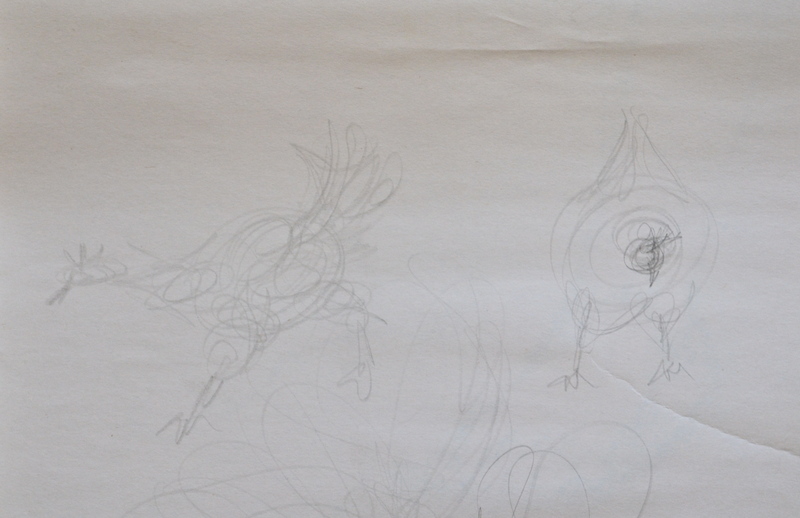 The drawings of the chickens took less than 10 seconds per chicken, the gesture drawings of the models are 5 minute drawings. 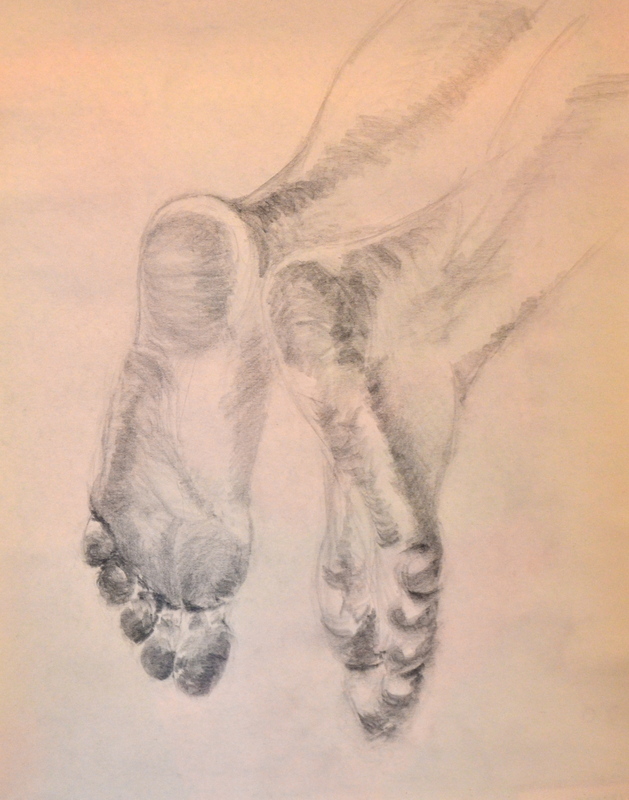 This entry was posted in drawings, pencil and tagged art, art instruction, create, drawing, drawings, fine art, gesture drawings, practice on September 11, 2012 by lilo. 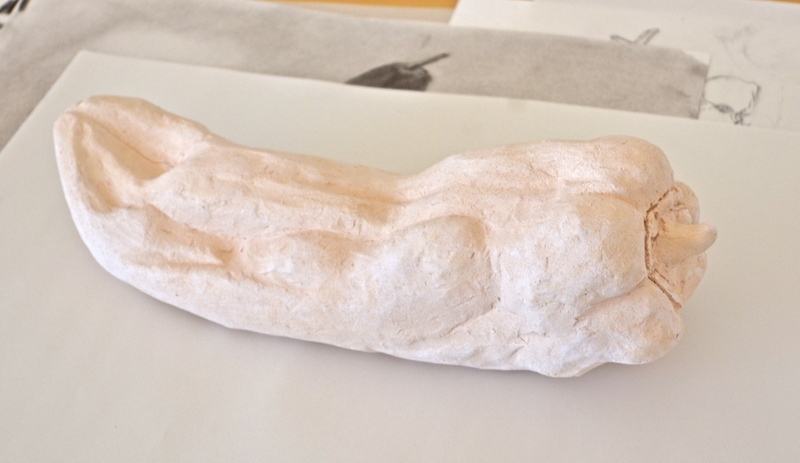 During spring quarter 2012 at Gage I took a class called Artistic Anatomy. In this class you literally study anatomy as far as it applies to drawing (and consequently also to painting and sculpting). In other words you study the skeleton, muscles, etc. – even hair (direction of hair growth, beard) – you get the idea. However this class was an advanced class for students who already had taken part 1 and part 2 in fall and winter, so I got a little in over my head. 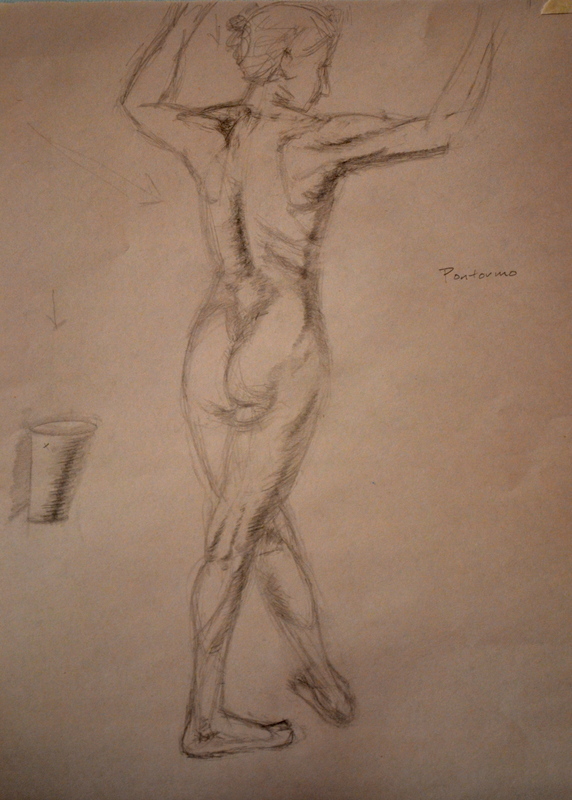 It was expected that one already knows most of the anatomy and applies it to life drawing. Thankfully I was not the only one who misjudged the class content and the instructor adjusted his curriculum taking the time at the beginning of each session repeating the material in an abbreviated form and explaining once more the specific parts of the body before we started drawing from the life model. 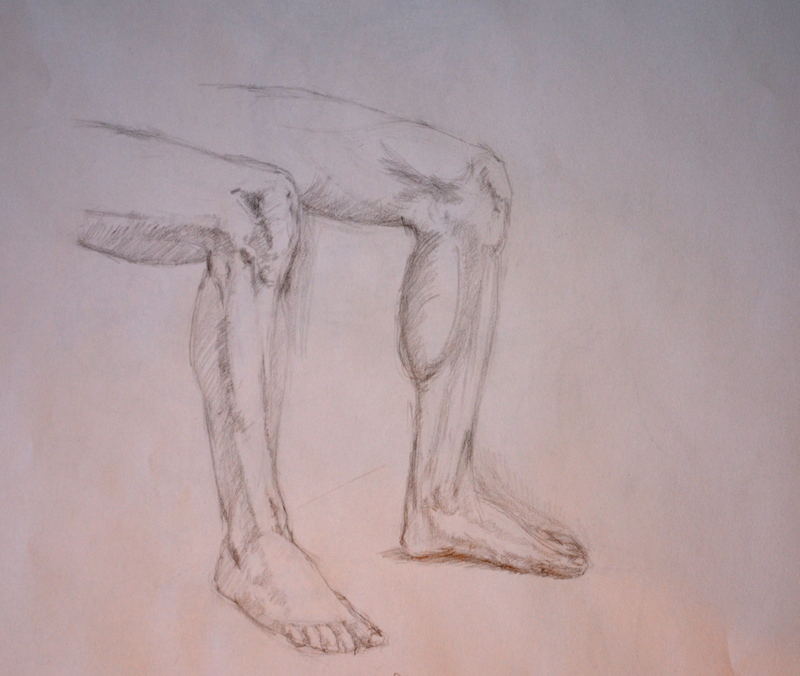 Here are a couple of my drawings/studies from that class: legs, knee, feet, female full body and a portrait. 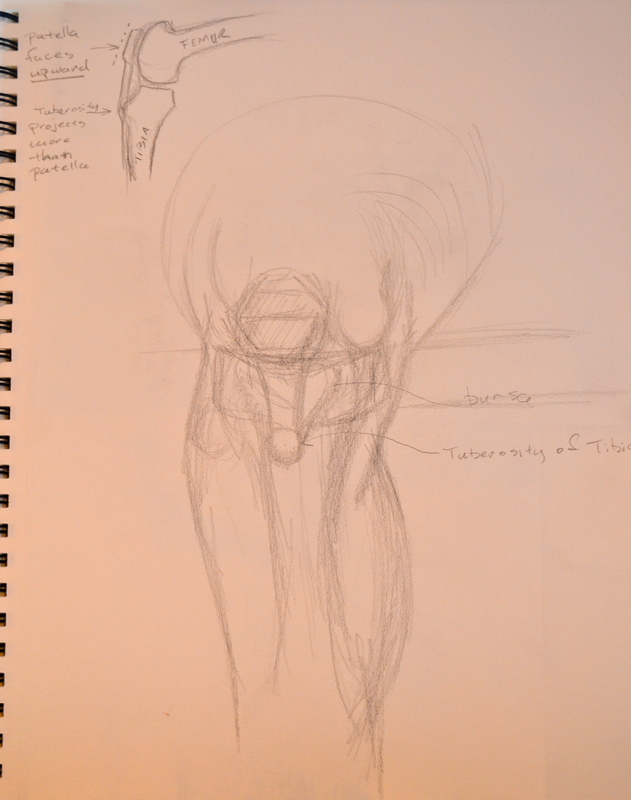 Following a construction drawing/study of the knee (my knee in the mirror actually). The next one is one of my favorites. I had a good session that day and although the arms are not that well defined (ran out of time) I was happy with the result. And last but not least, a portrait. 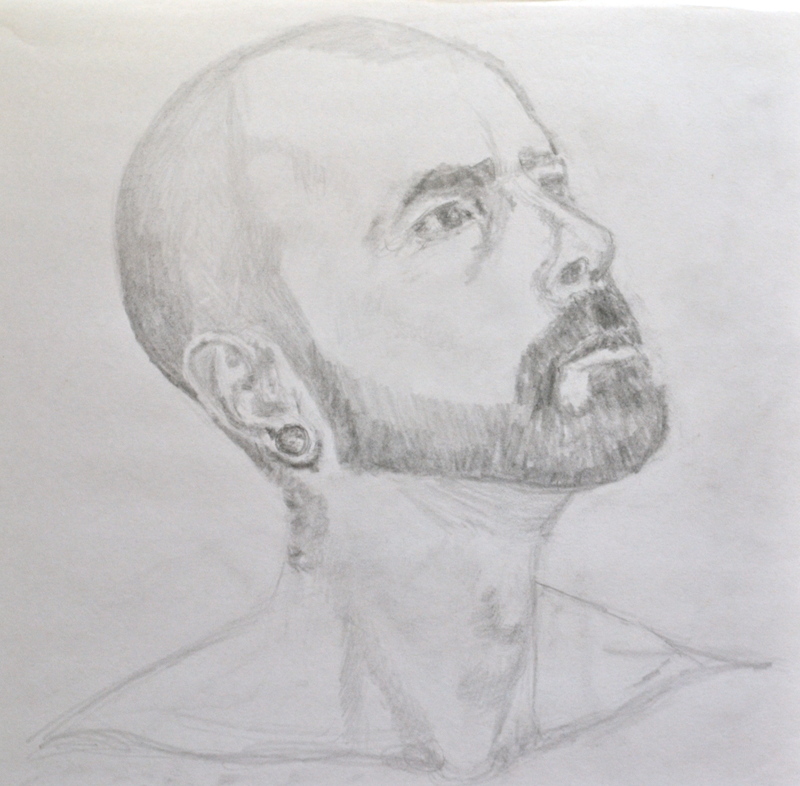 This entry was posted in drawings, pencil and tagged art, art and fear, art instruction, construction drawings, create, doubt, drawing, drawing classes, drawings, fine art, fine art classes, Gage Academy, inspirational, inspire, pencil, practice on September 8, 2012 by lilo. 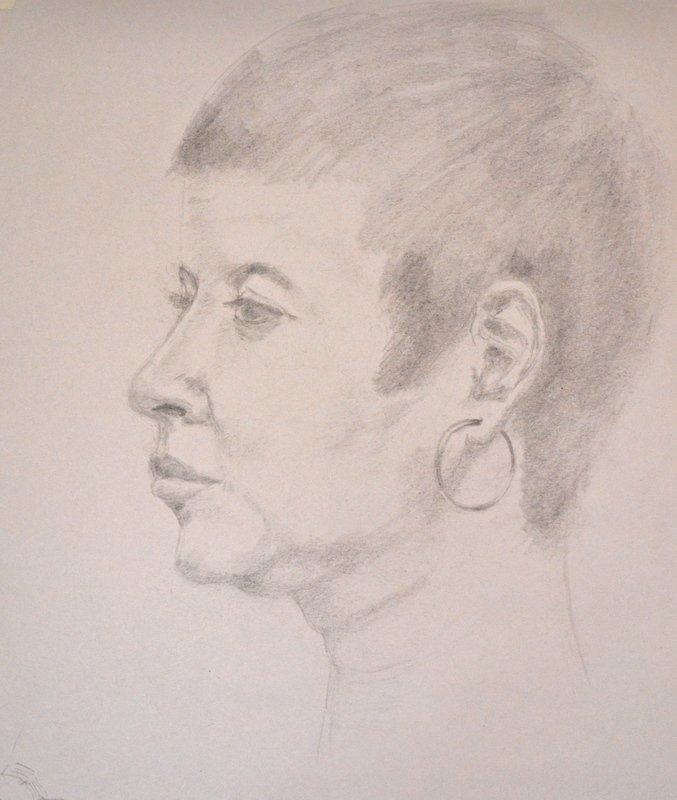 As a follow-up to the blogs about “drawing and sculpting” (posted June and July) here is a portrait that I drew during the last class session of “Beginning Portrait – Drawing and Sculpting”. 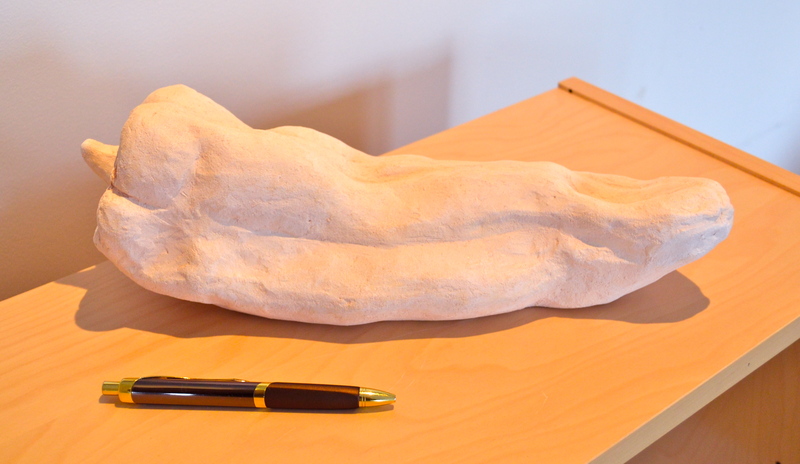 Remember the point of the class was to enhance your drawing skills through sculpting. 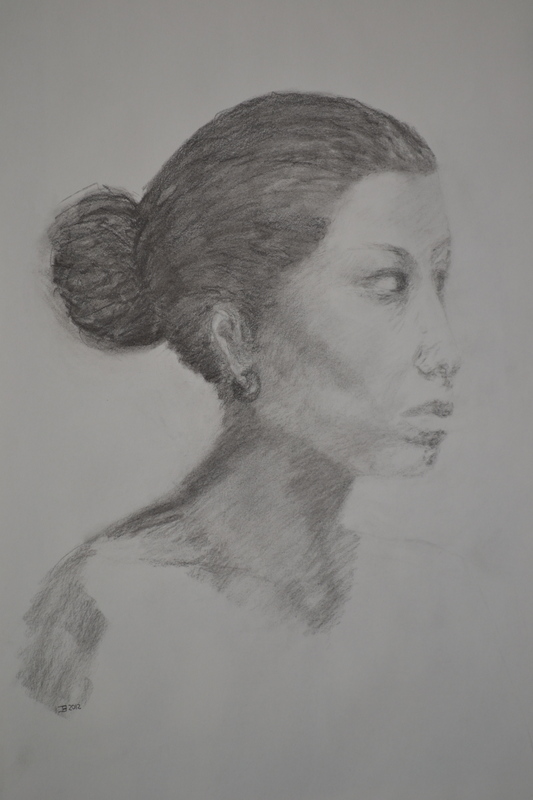 This entry was posted in charcoal, drawings, pencil and tagged art, art instruction, charcoal, construction drawings, create, drawing classes, drawings, fine art, fine art classes, Gage Academy, pencil, practice, sculpture on August 6, 2012 by lilo.